Today, DC Comics and Warner Bros. announced the impending arrival of DC Universe, the new, fan-oriented platform where many of company’s upcoming shows like Young Justice: Outsiders, Titans, and Harley Quinn will live alongside a deep back catalogue of curated DC comic books, TV shows, and films. “It’s a welcoming place for everyone to immerse themselves in their own level of DC fandom, with the epic characters, stories, and experiences they have come to expect from DC. “We wanted the DC UNIVERSE comic reader to be a blend of art and technology that would further enhance fan’s experiences of the live-action and animated programming on DC UNIVERSE. 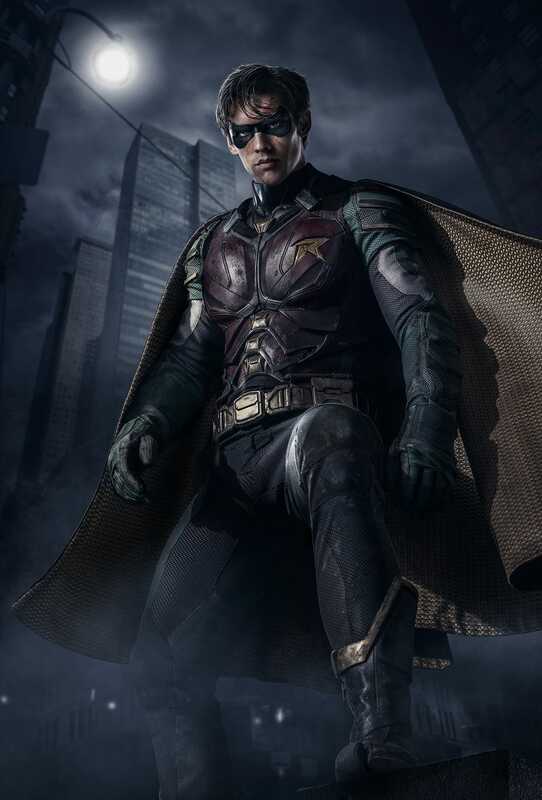 Brenton Thwaites as Robin in the upcoming Titans series. In addition to the news about DC Universe itself, the company also revealed new information about all of the new series it has in production that are rolling out over the course of the next year. Titans will tell the story of how Robin, Raven, Beast Boy, and Starfire become chosen family as the young heroes investigate a mysterious conspiracy that could literally result in “Hell on Earth.” It’s possible that the last bit of plot detail is pointing to the team’s ultimate foe this season being Raven’s father Trigon (or potentially Etrigan), and it’s notable, though not surprising, that Cyborg’s missing from the roster. Interestingly, though, Cyborg isn’t totally missing from Titans’ orbit because of the Doom Patrol spinoff series. According to DC, this incarnation of the Doom Patrol — Robotman, Negative Man, Elasti-Woman, Crazy Jane, and Dr. Niles Caulder — will come together after being called upon by Cyborg himself to embark upon an adventure into the weirder, darker corners of this shared universe. There’s no telling whether the Doom Patrol will ever cross with Abby Arcane, but Swamp Thing is set in one of DC Universe’s dark corners. The show will follow as the heroine travels to Louisiana to investigate a strange swamp-born virus only to discover that there’s more magic and danger in the bayou than she ever could have realised. A few of Young Justice: Outsiders’ heroes. 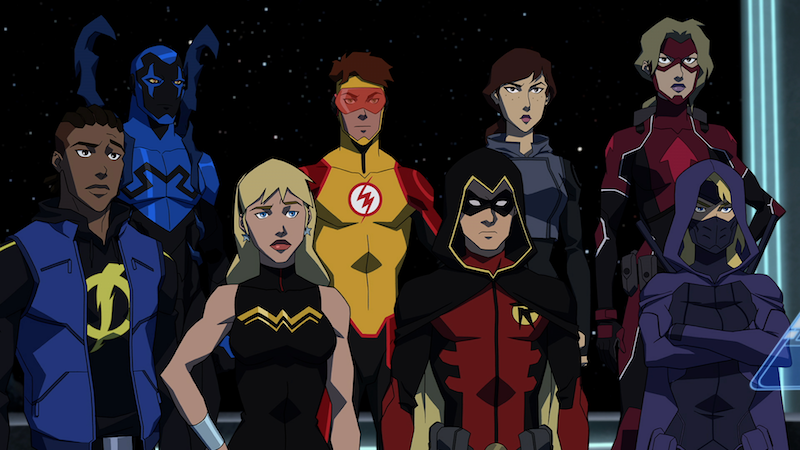 On the animated side of things, Young Justice: Outsiders revives the beloved series and brings a number of new faces into the fold as the world is plunged into an intergalactic arms race to locate and weaponise the growing population of young metahumans. While most of DC Universe’s programming is aimed at a more general audience, the new Harley Quinn series will be decidedly adult and find a newly single, Joker-free Harley teaming up with Poison Ivy as she schemes her way into the Legion of Doom. We’re at a point in the Streaming Wars when all of the major studios are squaring up and making a go at trying to become the service you think of for entertainment. DC Universe is tossing its hat into the ring in a big way, but it’ll be interesting to see whether the combination of comics books, television shows, and movies will be enough to make people stick with it. Currently, no pricing has been announced for DC Universe, but fans can sign up for access to the upcoming beta today. DC plans on launching the service later this autumn.